The UK's favourite Theme Park resort, home to world class rides, unique overnight accommodation, a tropical indoor Waterpark and more! OPENING JULY: Step into the colourful world of the first ever CBeebies Land Hotel. All uniquely designed for young families, CBeebies Land Hotel is bursting with unrivalled family entertainment: meet and greets with some of your favourite CBeebies characters, live shows, story time and CBeebies games to play. NEW FOR 2017: CBeebies Land is bigger than ever, with the arrival of Go Jetters Vroomster Zoom Ride and The Furchester Hotel Live! Download our free mobile app, providing live queue times & interactive navigation. Until September, our app also unlocks The Big Six Challenge: thrillseekers tackling our six biggest rollercoasters will win a free return ticket! 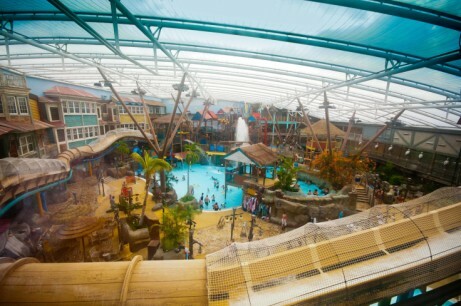 Enjoy a Waterpark Escape from £169!